Thinking about selling your home in York County? 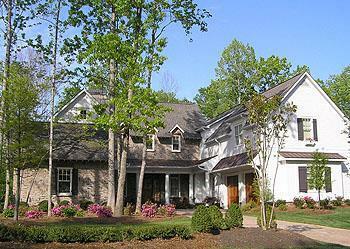 Pricing the House to Sell-Homes in the Piedmont will provide the information you need. Price and condition are the two most important factors in selling a home, even in a down market. The first step is to price your home correctly. We provide comparative sales information, or you may pay for a professional appraiser (usually $200 to $400), to objectively evaluate your home's worth. Homes in the Piedmont recommends you go through the house and repair any obvious cosmetic defects that could deter a buyer. We make sure that your home is getting the exposure it deserves through advertising, good signage and a listing on the York County and Charlotte multiple listing services and online sites that buyers visit. What is the best time to put your home on the market? The list price is a seller's advertised price, a figure that usually is only a rough estimate of what the seller wants to get. Sellers can price high, low or close to what they hope to get. To judge whether the list price is a fair one, we provide comparable sales prices in the area. The sales price is the amount of money a buyer would pay for a property. The appraisal value is a certified appraiser's estimate of the worth of a property, and is based on comparable sales, the condition of the property and numerous other factors. Even in a down market, price and condition are the two most important factors in selling a home. If you are selling in a slow market, your first step would be to lower your price. Also, go through the house and see if there are cosmetic defects that you missed and can be repaired. Secondly, you need to make sure that the home is getting the exposure it deserves through advertising, good signage, listings on the local multiple listing service (MLS) and on the Internet. Another option is to pull your house off the market and wait for the market to improve. Finally, if you who have no equity in the house, and are forced to sell because of a divorce or financial considerations, you could discuss a short sale or a deed-in-lieu-of- foreclosure with your lender. A short sale is when the seller finds a buyer for a price that is below the mortgage amount and negotiates the difference with the lender. In a deed-in-lieu-of-foreclosure situation, the lender agrees to take the house back without instituting foreclosure proceedings. The latter are radical options. Your simplest, and in many cases most effective, option is to lower the price. It's very important to price your home according to current market conditions. Because the real estate market is continually changing, and market fluctuations have an effect on property values, it's imperative to select your list price based on the most recent comparable sales in your neighborhood. We will cover the comparable sales report (the data should be no more than three months old) to help you with pricing. Homes listed outside the ranges on the CMA will likely stay on the market and will not appraise if sold.